The CITE Innovation Lab (housed in AET 0.410) is a place where students can create, invent, explore and discover using a variety of tools and materials. 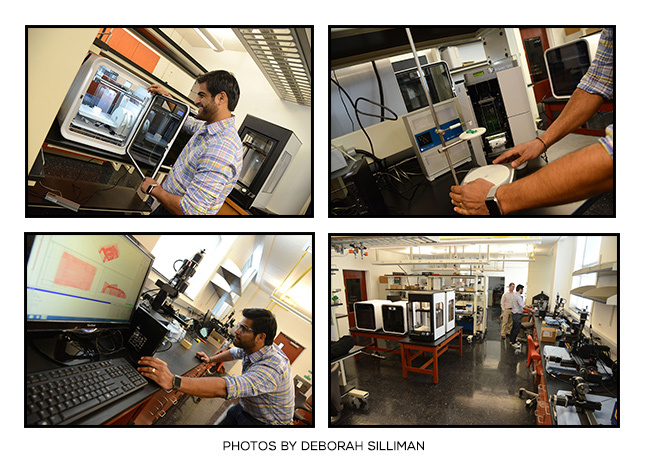 The lab allows students to design, prototype and manufacture items using state-of-the-art tools such as 3-D Printers, digital fabrication machines and computer-aided design software. The use of the Innovation Lab is open to all UTSA faculty, students and staff under supervised use. You only need to buy the materials needed for your project. For more information about the Lab and its operational procedures please contact the Lab Director, Dr. Teja Guda at teja.guda@utsa.edu.